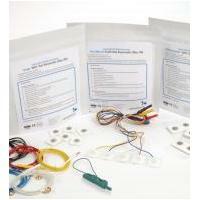 New Disposable Electrodes offer excellent adhesive, easy to remove, individual electrodes in a resealable pouch. Electrodes can be found in our extensive online collection of products from globally recognized and trusted brands, including GN Otometrics. An excellent option to consider is the Differential Wet Gel Electrodes, Disposable.